Cranmer Green is a 3.2 hectare local nature reserve and Site of Local Importance for Nature Conservation in Mitcham in the London Borough of Merton. It is owned and managed by Merton Council. It is a triangular area bounded by Cranmer Road, King George VI Avenue and a railway line. Cranmer Green, also known as Cranmer Piece, is named after the Cranmer family, who lived locally between 1761 and 1843. The site has a pond, which probably dates to the late eighteenth century, and areas of grassland and woodland. 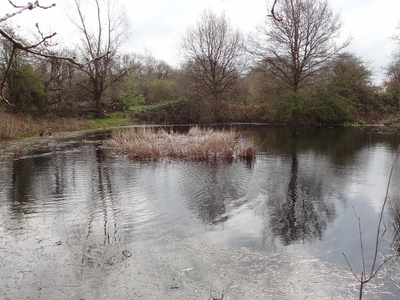 Here's the our members favorite photos of "Nature Reserves in London". Upload your photo of Cranmer Green!